MSI has had a dynamic shift in the packaging it now uses with its Gaming series hardware. 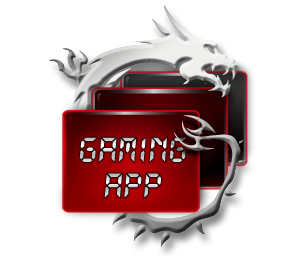 Instead of the whites and blues of days past you get a red and black graphic with the Gaming series badge to the right and a tribal dragon graphic on the left. 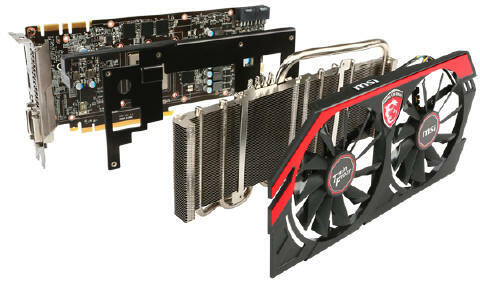 At the bottom left is an indicator that this is a factory overclocked version of the MSI GTX 770 and it is equipped with MSI's own Twin Frozr cooling solution. 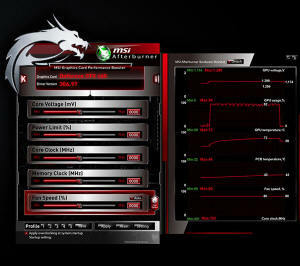 On the back side of the package MSI illustrates the main feature set as it applies to the gamer and how best to use the GTX 770 with its supplied utilities such as the Gaming App and Predator (a part of MSI's Afterburner utility). Also discussed are the benefits of the Twin Frozr cooling solution that to be honest are not far off the mark. MSI's Military Class 4 construction is used with components that meet or exceed the MIL-STD-810G rating. Parts such as Hi-C Caps, Super Ferrite chokes, and aluminum solid capacitors all team together to improve stability, efficiency, and longevity. 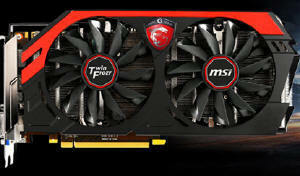 Most MSI Gaming graphics cards come pre-overclocked out of the factory. This simply means you get more performance out of your card, without spending any time on checking for maximum clocks and stability. Pre-overclocked graphics cards simply give more performance, and you don't have to worry about damaging your card since it is completely covered by our warranty! With MSI GAMING series gA built-in screen and video capturing tool - Predator - which captures your screen as still images or videos with the push of a button and allows you to capture and record your coolest, goofiest and most awesome gaming moments on your PC! 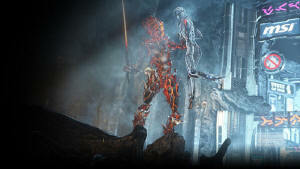 OC Mode OC Mode cranks up the core clock and fan speed to achieve a mind-blowing gaming experience. Gaming Mode (Default) This setting provides a stable gaming environment using higher core clock speeds. Silent Mode Silent mode is a low-power operating environment that maintains very low noise levels. 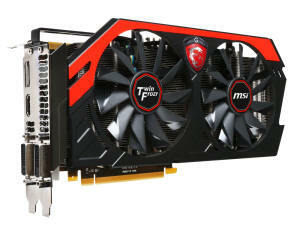 Futhermore, MSI provide all new Airflow Control technology on Twin Frozr. This new thermal tech. is leading airflow to heat pipe by spcial defletor on heatsink, so it can deflect more airflow to heat pipes directly. In addtion,This exclusive heatsink design is increasing the area of heatsink so that enhacing the efficiency of dissipation much more. New Super Ferrite Chokes use a Ferrite core that is Super-Permeable. This allows the Super Ferrite Chokes to run around 100°F (35°C) lower temperatures, have a 30% higher current capacity, a 20% improvement in power efficiency and better overclocking power stability. 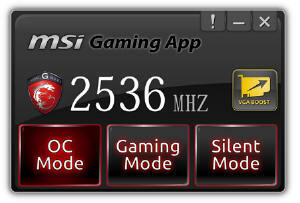 - Gaming Mode - Tune up core clock and fan speed to get good gaming experience. - Eco Mode - Reduce core clock and fan speed to get comfortable environment and save power. - Dual 10 cm PWM fans with Propeller Blade technology generate more airflow than traditional fans. - Airflow Control technology deflects more airflow to heatpipe directly and increases the area of heatsink. - Adopt Hi-c CAP, new SFC, and Solid CAP. - Just use Predator within Afterburner for "FREE"! 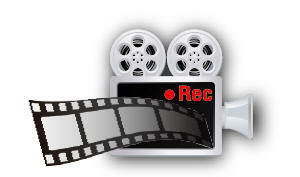 - Audio source selection support.